At the Hyperhidrosis Center, our goal is to provide patients suffering from excessive sweating comprehensive services to treat and provide relief for hyperhidrosis. With years of combined experienced to draw from, our team of professionals provides compassionate and personalized care for patients living with the hindering and embarrassing effects of excessive sweating. Utilizing the most advanced techniques available in our state-of-the-art facility, we effectively diagnose, treat and monitor this condition. The Surgeons of the Hyperhidrosis Center at Thoracic Group have a long history of pioneering the field of minimally invasive thoracic surgery. Together they have performed over 8,000 minimally invasive procedures over a span of more than two decades. During that time, they have also trained other surgeons on the techniques of minimally invasive surgery both nationally and internationally. 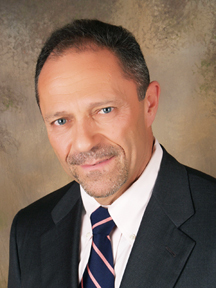 Dr. Robert J. Caccavale is board certified by the American Board of Thoracic Surgery and specializes in minimally invasive surgery. In addition to his position as Director of the Hyperhidrosis Center at Thoracic Group, Dr. Caccavale also holds an academic position at Rutgers Robert Wood Johnson Medical School in New Brunswick, NJ as a Clinical Associate Professor. He is a Fellow of the American College of Surgeons and has served as a past president of New Jersey’s chapter of the Society of Thoracic Surgeons. He also serves as Chair of the Northeast Advisory Board for Myriad’s Lung Cancer Genetics Division. Dr. Caccavale completed his residency in cardio-thoracic surgery at State University of New York Center in Brooklyn, NY and his general surgery residency at New York University at The Booth Memorial Medical Center in Queens, NY. He received his medical degree from State University of New York at the Buffalo School of Medicine in Buffalo, NY. Dr. Jean-Philippe Bocage is board certified by the American Board of Thoracic Surgery and specializes in minimally invasive thoracic surgery. 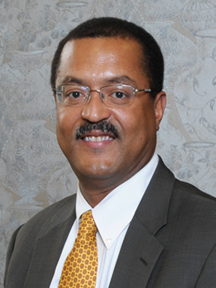 In addition to his position as Director of the Hyperhidrosis Center at Thoracic Group, Dr. Bocage currently serves as the Chief of Thoracic Surgery at St. Peter’s University Hospital in New Brunswick, NJ as well as the Chief of Thoracic Surgery Division at Robert Wood Johnson University Hospital in Somerset, NJ. He also holds an academic position at Rutgers Robert Wood Johnson Medical School in New Brunswick, NJ and serves as Chair of the Lung Cancer Institute at Steeplechase Cancer Center in Somerset, NJ. Dr. Bocage completed his residencies in cardio-thoracic surgery and general surgery at Robert Wood Johnson Medical School in New Brunswick, NJ, where he also received his medical degree. If you would like more information, or to review your specific condition, fill out the form below and one of our experienced staff will be in contact with you.